Jupiter is the grandest of all planets. It is by far the largest planet in the solar system and among the brightest objects in the night sky, and its calming presence has inspired humans for centuries. Jupiter was the ‘beloved star’ of the ancient Sumerians and Babylonians, the first serious observers of the planets, and the Pioneer and Voyager spacecraft visited it in the 1970s. Now it is being scrutinized as never before by nasa’s Juno spacecraft, as experts begin to have a comprehensive view of the origin, composition and structure of this gas giant world. This beautifully illustrated volume ranges across the entire history of Jupiter studies, from the naked-eye observations of the Babylonians and the Greeks, through the telescopic discoveries of Galileo and T.E.R. Phillips, to the explosion of information received from space probes. 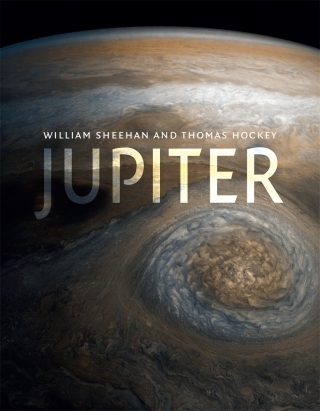 It brings our understanding of Jupiter right up to date and includes preliminary findings from the Juno space probe, while also providing valuable practical information for those who wish to make their own observations of the planet. Introducing planetary science in an accessible and engaging way, Jupiter will appeal to those who wish to have a better understanding of this magnificent planet and its unique place in the solar system. Thomas Hockey is a Professor of Astronomy at the University of Northern Iowa. He has written six previous books, including Galileo’s Planet (1999) and asteroid 25153 is named Tomhockey in his honour.